More than 5 million teeth are knocked out in sporting activities each year. While this number is staggering, the American Dental Association estimates that more than 200,000 oral injuries are prevented every year thanks to the use of PlaySafe sports mouthguards. 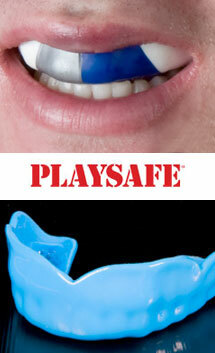 Ask us how you can get the competitive edge with a PlaySafe mouthguard!